I am not a motorcyclist but there is something about the aesthetics of motorbikes that has appeal – or perhaps it is the romantic notion of “riding into the sun”. 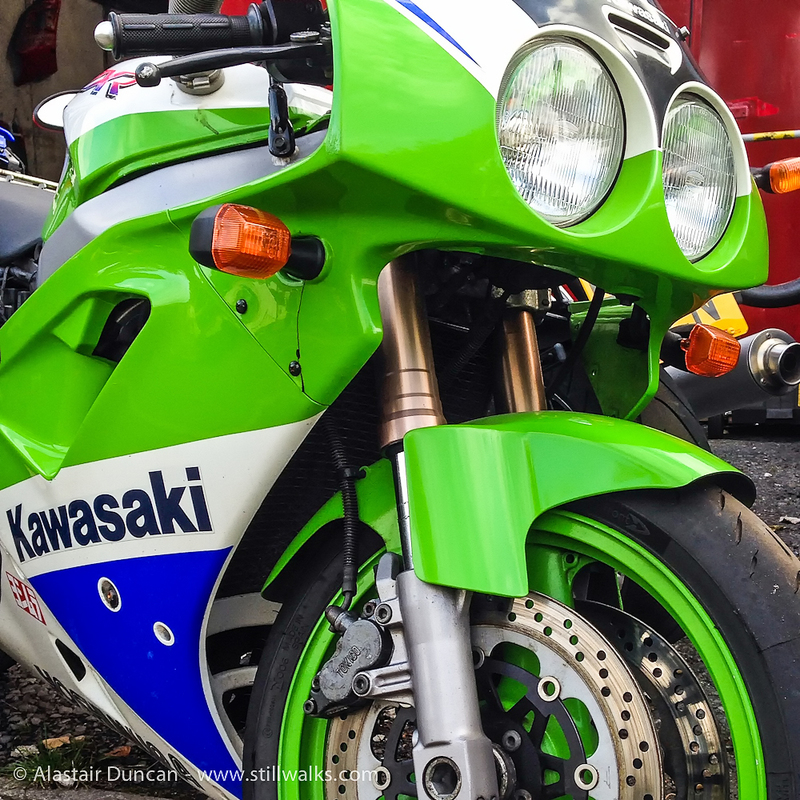 The bright green of this Kawasaki does not have the same appeal as the shiny red of the Ducati in yesterday’s post but it is still, somehow, a fitting colour for the machine. 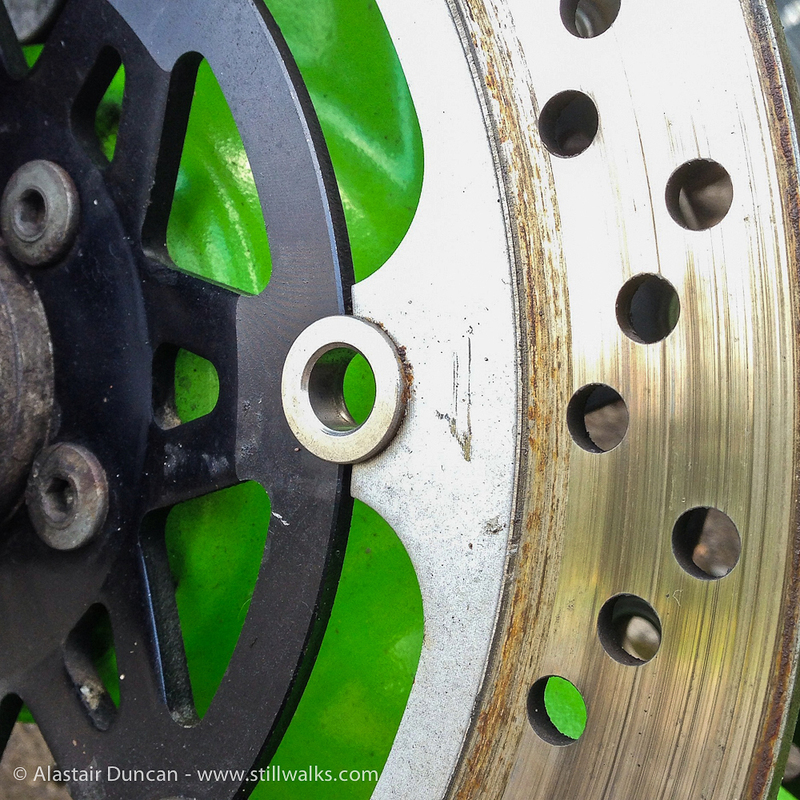 Posted in iPhonography, Photography, Urban and tagged break discs, design, green, iPhonography, Kawasaki, motorbike, photography, riding on the wind, urban.